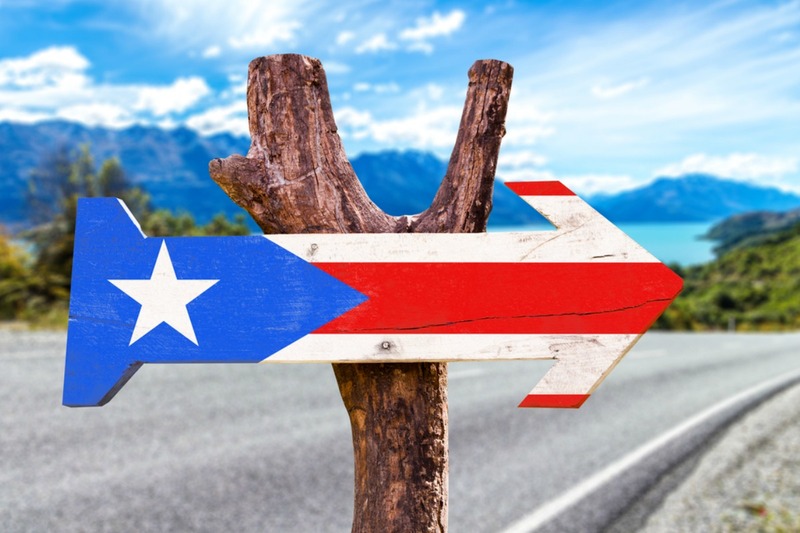 Renting a car in Puerto Rico is a great way to quickly move around the U.S. territory's capital city of San Juan or explore the astounding wildlife, waterfalls and beaches beyond the city. Here are some special considerations you should keep in mind. Book from home. Don't wait until you get off the plane to rent a vehicle. It will be cheaper to book your car before leaving home. You can use your U.S. license. Remember, Puerto Rico is part of the U.S. and you don't even need a passport to fly there. You can drive with your state-issued license without worry. Check your insurance coverage. Renters are liable for third-party damages, so double check that your personal auto policy or credit card coverage extends to Puerto Rico. Be careful about parking in Old San Juan. San Juan's lack of efficient public transportation and its relatively expensive taxis make the city a great place to have your own wheels, but note that the Viejo San Juan (Old San Juan) neighborhood is a tricky place to drive because of its tiny, congested streets. Save the hassle of finding a space (and potential landing a ticket) by parking in a garage and then exploring on foot. You'll pay in U.S. currency. Again, Puerto Rico is part of the U.S. and uses the dollar. Therefore, there's no need to worry about Dynamic Currency Conversion when using a credit card to pay for your rental. Know how electronic tolls work. Puerto Rico uses an electronic tolling system on certain roads called AutoExpreso, which is similar to E-Z Pass in the mainland U.S. Travelers have reported that buying your own transponder to avoid paying the car rental company's fee is not an option, and that some toll booths might not have a cash option for payment. Consequently, you should accept the transponder fee if you plan to drive extensively around the main island. Speeds are in kilometers, not miles. One notable difference between Puerto Rico and the U.S. is that driving speeds are measured in kilometers instead of miles. The signs will also be in Spanish, so it's best to familiarize yourself with some basic vocabulary before you go. Plan trips to neighboring islands carefully. While it is technically possible to transport cars in a cargo ferry to the neighboring islands of Culebra and Vieques, several travel websites warn that rental car companies generally prohibit this in their rental agreements. Trying it anyway is risky because trucks have priority over cars when competing for space on the boat, and you may not be able to return as planned. Therefore, it's best to plan a trip to the islands at the beginning or end of your vacation and rent a car there if you need one. Inspect the car carefully before driving it off the lot. Make sure to protect yourself from potential false damage claims by carefully look over your car before taking it for a spin. Document every nick, scratch or dent. Your smartphone will come in handy for taking photos of any imperfections to ensure you won't have to pay for them later. Check out local options as well as international chains. Big-name U.S. car companies such as Enterprise and Avis have a presence in Puerto Rico, but it's also worth checking out some local chains such as Charlie Car Rental and Target Rent-A-Car to compare prices.